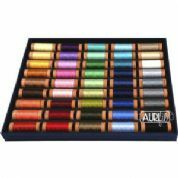 Large stocks of Aurifil threads in every weight and size - cones, kits, stash builder boxes, suitcases and the Aurifil shade card. Cotton Mako 50, Mako 40, Mako 28 and Mako 12, plus Lana 12 (wool blend), Invisible (nylon) and 6 strand floss. 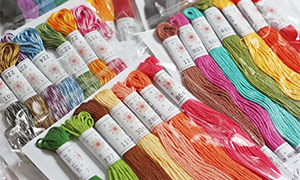 We are the largest UK and European stockists of Aurifil cotton thread - every colour, every weight, every spool size. 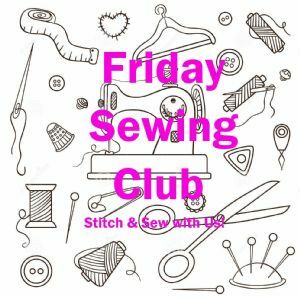 If you need it, we will supply. Some items may need to be special ordered. 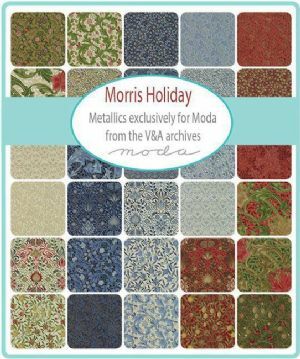 Ring 01264 771443 for more details. 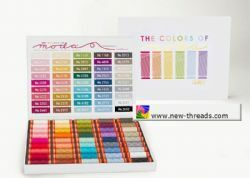 Aurifil shade cards are made with real thread wraps and are the best way to get fully accurate colour matches. 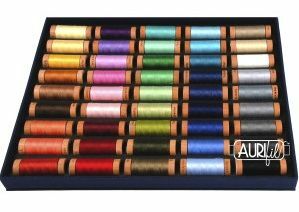 SAVE 7% at checkout: add ANY 3 or more large spools (30g) of Aurifil Mako 50, 40, 28, 12 or Lana threads to your shopping basket. Discount deducted automatically.